Knowing the secrets of Disney World Vacationing can save you time, money, and the frustration of having to fight crowds. By following the tips that Only WDWorld provides you can be well on your way to enjoying that legendary Disney magic to the fullest. 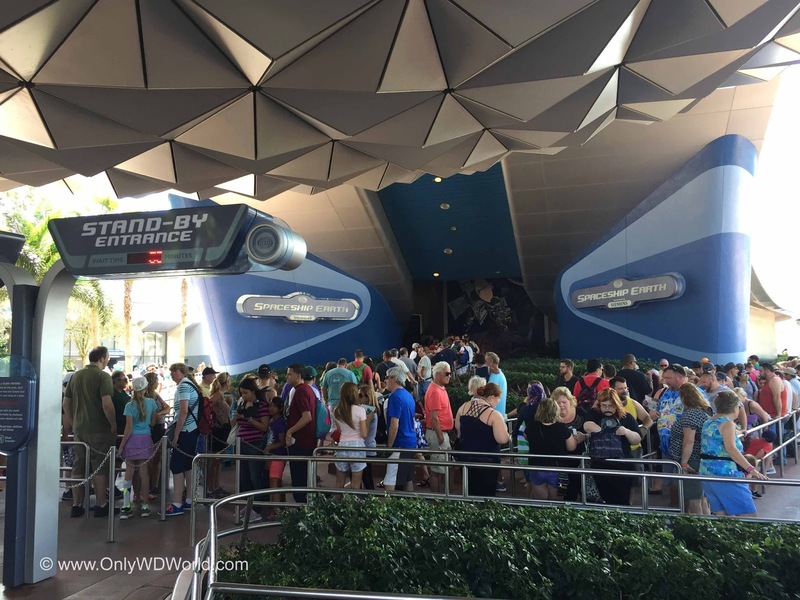 Disney World Guests often fall prey to this trap when they visit Epcot. You can save time and be a hero for your family by following this very simple tip. Spaceship Earth is literally the first thing that you notice as you approach Epcot. 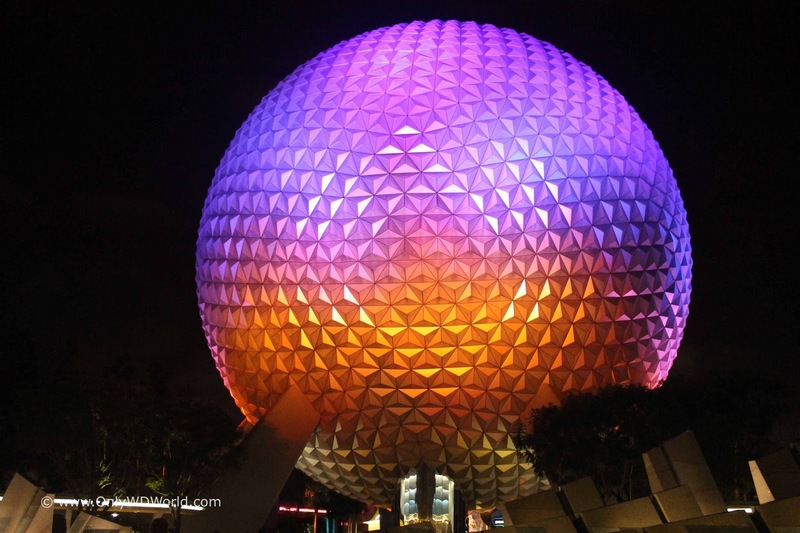 The towering iconic Geo-sphere beckons all who enter Epcot to come explore inside and ride this attraction immediately. Guests will notice that early in the day (usually before 1:00pm) Spaceship Earth has lines that can be anywhere from 20-45 minute wait. The knowledgeable Disney visitor will know to pass by Spaceship Earth when first entering the park when lines are more than 10 minutes long. 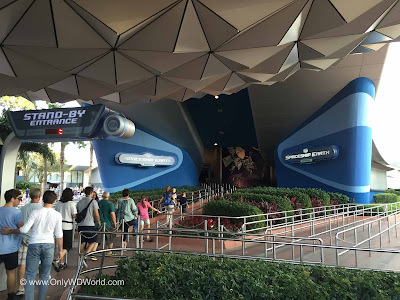 By returning later in the day Epcot guests will be rewarded with short or non-existent lines for Spaceship Earth. Both of the pictures shown are from the same day. The first one was from early in the morning, shortly after park opening while the next picture was from later in the day around 6:00 pm. Spaceship Earth is absolutely a must-see attraction when visiting the Epcot theme park at Disney World. Next time you visit, use this tip to avoid the lines and have more time to enjoy your day! 0 comments to "Disney World Top Tips: Epcot Attraction Tip #1"